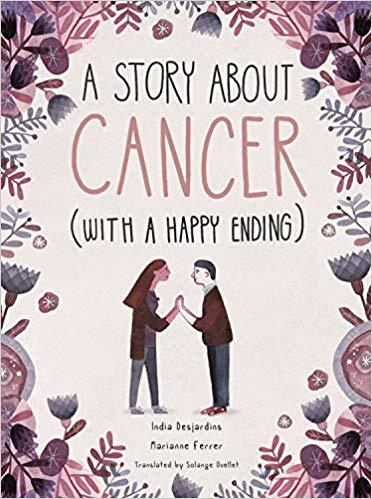 As a girl is on her way to an important doctor's appointment she recounts her battle with leukemia. She has been fighting it for years and has seen a close friend die from it. She has struggled with people understanding and dealing with the side effects of her disease but she has also found a boyfriend she loves. Although she is dealing with the uncertainty of what she'll hear, we know that the end is happy. But just because the ending is happy, that doesn't mean the journey is. I really liked this book in its simplicity. It is short in length and the girl's story is told concisely. But I still felt the emotion of her years of treatment in the text, but especially in the illustrations which are evocative. And I was still emotional at the end even with the promised happy ending. Riley knows she is fat so she really doesn't understand why her parents would insist that she enter a program for teens with eating disorders. Ever since a girl at school made fun of her for being large, Riley has been losing weight and exercising obsessively. Resentful about being sent to treatment, worried about gaining weight, and forced to live with an angry roommate, Riley nevertheless finds herself entertaining the idea of not obsessing about her weight anymore. But despite seeing a possible future that she likes, Riley finds herself pulled back into destructive habits and thought processes by her roommate and her family. Petro-Roy's writing sneaks up on you with her straightforward sentences that really convey a lot. Riley's journal takes the reader into the mind of someone fighting anorexia with both the desire to and the terrifying fear of getting better. And since Petro-Roy is an eating disorder survivor herself, I assume the feelings she has included are authentic. The book doesn't just cover Riley's feelings about things, it also includes the reactions of friends and family who totally don't understand why Riley doesn't just eat more and don't see their role in her struggles. This is a really great look inside the mind of someone with anorexia without being lurid. 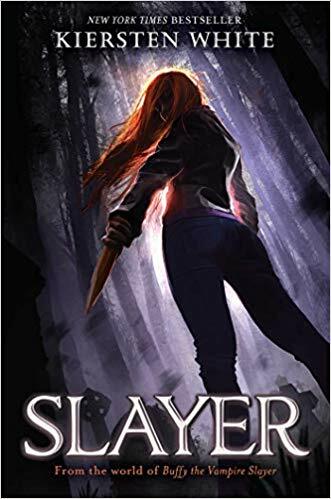 After Buffy, the vampire slayer, brought about the end of magic there has not been much need for Watchers - the men and women who support Slayers. All of the former Watchers are now living in a castle, still learning about demons and other creatures as well as ways to help the Slayers that are still out there. Nina knows that she will not be chosen to become a Watcher so she has been honing her healing skills instead. Her twin sister Artemis has all the strength and cunning to be a Watcher but has somehow not qualified. After witnessing an anomaly, Nina feels herself change in some way. And then when a hellhound attacks the castle and she kills it with her bare hands, it is clear that she has become the last Slayer. "Buffy the Vampire Slayer" is still one of my most favorite TV shows ever so I snatched up this book as soon as I could get my hands on it. It is good but of course did not live up to actual Buffy. In fact, Buffy is kind of one of the villains of the book because she broke magic. If you're not coming loaded up with Buffy baggage then this is a pretty good story filled with good and bad creatures, double-crosses, misunderstandings, and killing. Nothing too groundbreaking, but well done and fun. Felix is a very smart kid who loves a trivia gameshow called "Who, What, Where, When". He also loves his mom Astrid despite the fact that she sometimes goes into a "slump" where she loses her job doesn't do such a great job taking care of them. Most recently, she lashed out at one of her friends who was letting Felix and Astrid live in her basement. 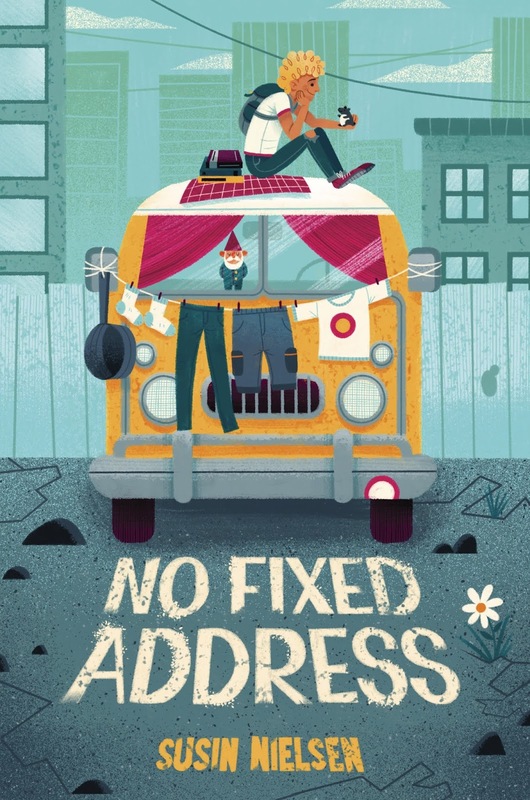 After the fight, Astrid decides they will live in a van - just for a month, until she finds a new job and gets the money to rent a new apartment. At first it's an adventure but as time goes on and there is no permanent home on the horizon, Felix is having more problems dealing with his homelessness. When he hears that his favorite gameshow is hosting a junior competition with a big enough prize to solve their money problems, he knows he has to win. I love me some Susin Nielsen. 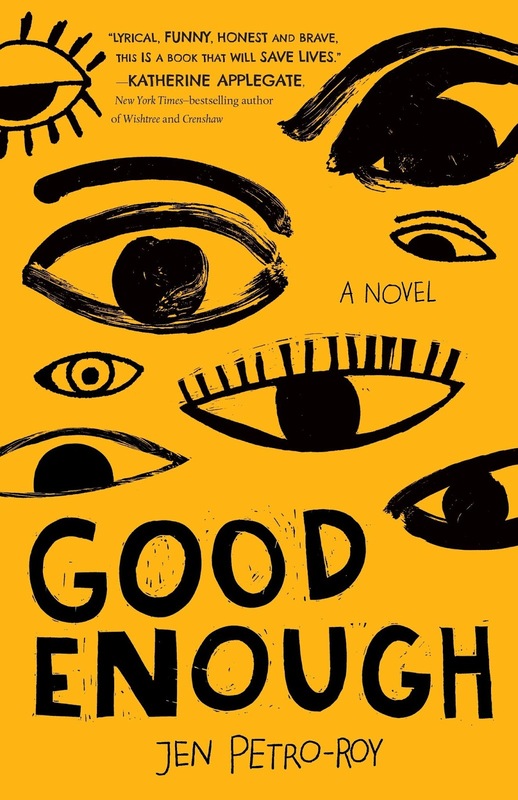 Everything she writes has great characters and deep themes that she incorporates smoothly, before you know that you're reading something important. Felix is a great character who is forced to be the parent but still reacts to things like a kid would. Astrid is also a good character in her complexity. She is not a good parent by any means, but she's not a monster either as many authors would be tempted to write her. In addition, Felix's belief that "Who, What, Where, When" is the solution to all their problems is realistic in how it plays out. Their descent into serious trouble comes about slowly with each decision seeming somewhat reasonable or temporary, rather than in one sudden catastrophe. There are some happy turns of events at the end of the book but they are still within the realm of possibility and I like having some hope in a book so I'm okay with that. Genesis comes home to find all the furniture out on the lawn because he father has failed to pay the rent again. Genesis adds "being embarrassed by the entire neighborhood seeing them out on the street" to her list of things she hates about herself. She also hates how dark-skinned she is and that people call her names like "eggplant" and "charcoal". Even her father complains about how dark she is, especially when he has been drinking. This time the family moves to a large house in the suburbs and Genesis attends a school with a predominantly white population. She is happy to make two friends fairly quickly who don't seem to care about her color at all. She is further surprised when her choir teacher encourages her to audition for the school talent show. Even though Genesis' life at school is going well, there are warning signs at home. Like the failure to pay rent notice she intercepts on the front door and the hidden bottles of alcohol she finds after her dad promised to stop drinking. And none of the skin lightening treatments Genesis has been trying have helped at all so she feels it might be time to try something more drastic. The theme of internalized self-hate in this book is so well done as Genesis struggles with who she is. And it's not just her inner monologue, she's surrounded by other people saying some pretty nasty things to her as well which would make anyone really question their identity. I love both of her new friends who are so great and loyal but not in a making-a-big-point-of-how-accepting-they-are way. I am disappointed that Genesis' mom hasn't been able to make the break with her dad but I can really appreciate how the author has Mom talk about not being able to leave entirely yet and how she never wanted to be one of those women and yet knows she is. But I still judge her a little. 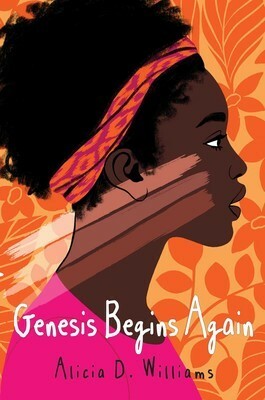 My complaints are that it feels like a debut novel in that it could've been pared down quite a bit AND I think the ending wraps up a few threads too neatly when it comes to Genesis finding her voice. But I will still be happy to sell it to my students and I believe they will love it! Zane lives in New Mexico and has his own volcano nearby that he enjoys exploring with his dog Rosie. He gets picked on at school because one of his legs is shorter than the other so he limps and walks with a cane. When cute new girl Brooks shows up on his doorstep, Zane things he must've hit the lottery. But it turns out she is there to help him avoid a nasty prophecy. Turns out that Zane is the son of a Mayan god and is destined to release an evil god from his volcano. Zane is determined to NOT do that but prophecies have a way of coming true and he finds that he has to get more involved than expected when Rosie dies and he knows he will do anything to get her back from the underworld. 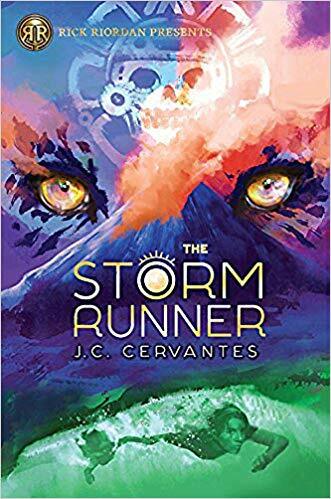 For a book filled with Mayan gods and shape-shifters and prophecies AND is recommended by Rick Riordan, I sure didn't like it very much. :-( In fact, I have to blame Riordan for my disappointment with this one. His books are so filled with adventure and humor that others are trying to capture that same tone. But Riordan's writing feels effortless and the characters just are funny or sarcastic. In comparison, I was very aware of the writing process in this book and how the author was working to add humor to the book rather than having it there organically. I did enjoy Rosie when we finally re-encounter her, but most of the rest of the story felt frenetic and forced. When Juniper receives an invitation to a mystery party that promises the opportunity to win a 50K scholarship, she is suspicious. Even more so because the party takes place on the anniversary of a party where someone died and for which Juniper feels some responsibility. But she finds herself unable to turn down the possibility of the scholarship and agrees to go. Once there, she finds that the attendees are all other people who share some of the guilt for Shane's death and it becomes clear very quickly that someone has arranged this night to find out what happened a year ago and make those responsible pay for the death. 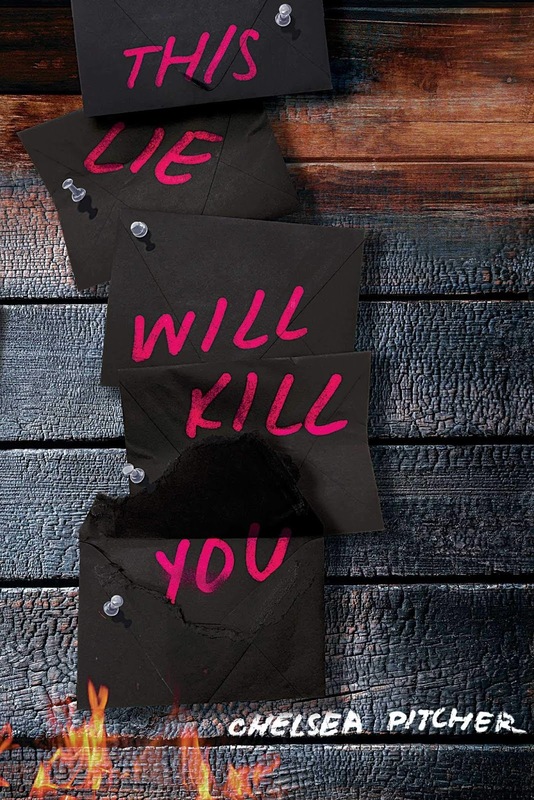 One description I read of this book likened it to I Know What You Did Last Summer. I spent lots of my teen years reading and re-reading everything ever written by Lois Duncan so I jumped onboard immediately, pushing aside other books on my "to read" pile. What a waste of my time, spending those two days reading this instead of other things. With a third of the book to go I was just taking time to read it so I could get it done. None of the characters interested me at all and they were all charicatures, including the dead guy and his weird sister. It was very clear who was the real villain in this whole scenario almost right from the start and we were never presented with any redeeming qualities at all. And then at the point when "The Ringmaster" was finally revealed, the events happening at the house became muddy - I thought one person was getting away and being replaced by a doll but now I think she was actually killed...? Maybe? Then again, I didn't really care. Nor did I care whether she was rescued by Juniper. Such a big disappointment, but proved to myself that I don't just love every mystery I read. So there's that.